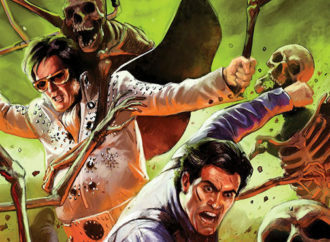 It’s rare to find a great comic convention. From the huge halls of the Javits centre where the world’s most attended comic-con NYCC is held to the Disneyland adjacent building site of WonderCon, comic cons are often huge, inaccessible with line-ups that are ninety percent straight white people. 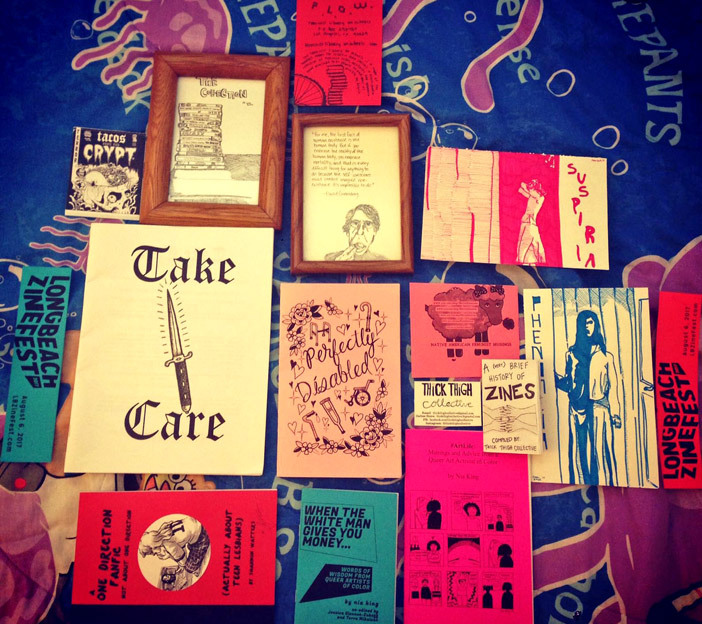 Though smaller zine fests seem like they should be the antidote to the homogenous ableism of larger conventions due to the role of zines in the radical history of marginalised resistance, punk and grassroots organisations. 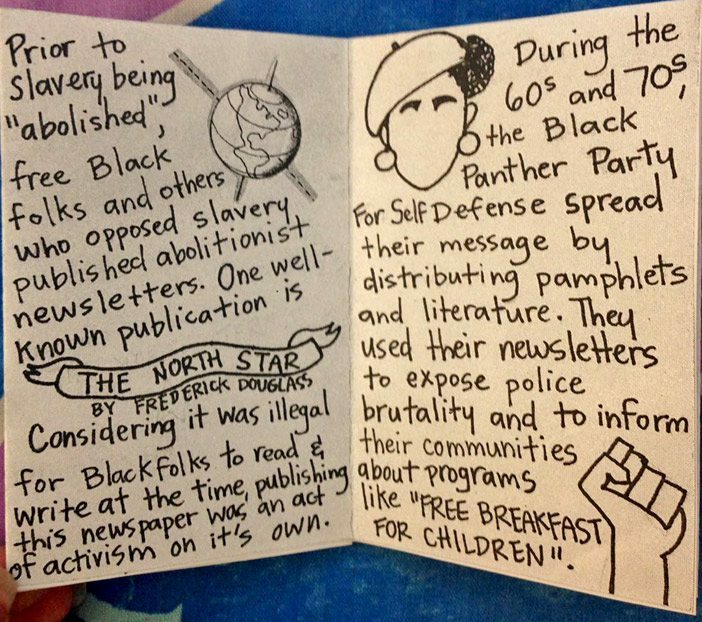 Over the years zine culture has been appropriated and turned into a trend that often cuts out the people who created zine culture as we know it. Which was why LA Zine Fest was a complete revelation. 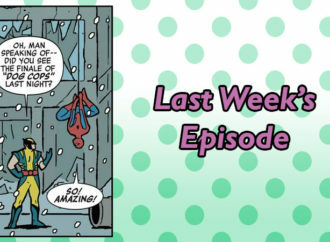 As you know, we — Jazmine and Rosie — have attended a bunch of cons are are usually pretty unhappy by the time we leave, which is a wildly unsatisfying way to partake in any kind of fandom, so we went to LA Zine Fest with low expectations. But from the moment we walked into the fully accessible building in Downtown LA’s fashion district we realised this con might just be different and boy were we right. 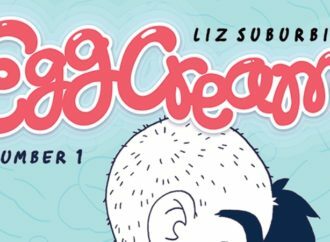 Here’s our list of all the things that LA Zine Fest got right! Wide aisles and open spaces made the show the most accessible we’ve ever been to. Yes, you read that right. Completely accessible! From the well placed signs directing you to the actual festival area. To the elevators and escalators, the LA Zine Fest was a disabled person’s dream. Not only was it easy to access the convention floor, but the actual space had wide aisles able to fit people using mobility aids comfortably. 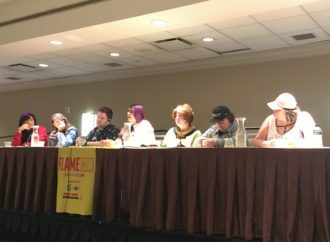 Wide aisles may not seem like a big deal, but often at many mainstream conventions using a mobility aid (a tool to help a disabled person navigate a space, i.e. a wheelchair, cane, walker, crutches, and motorized scooters) can be a nuisance. 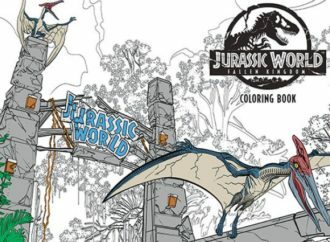 With the cramped aisles and booths not made readily accessible it can be a total nightmare to enjoy a convention when it’s not accessible. 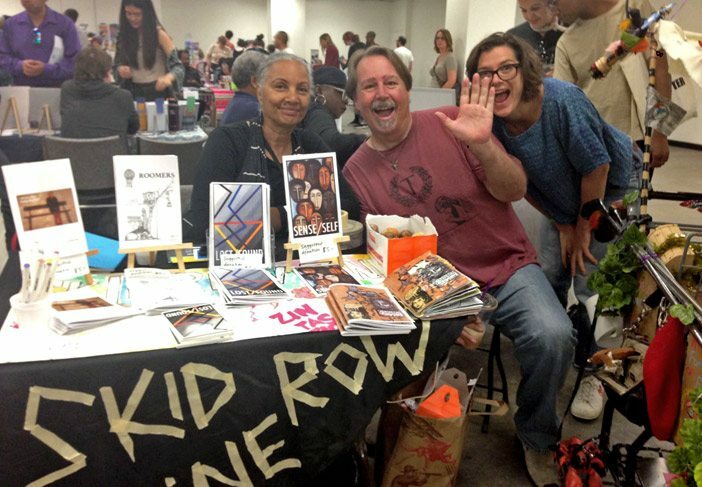 The LA Zine Fest went above and beyond by making every space and booth accessible to all attendees. When we talk about accessibility, we are first and foremost talking about the way a venue creates an open, safe and most importantly easy to access space for disabled visitors and exhibitors. Though as with all of radical thinking, there are intersections and places where more than one oppression meet. Often disabled people are poor, spending vast amounts of money on healthcare, or lacking funds due to an inability to work. This is exacerbated when you add that many disabled people are queer, people of colour, trans, and come up against constant structural oppressions which make it impossible to thrive or enjoy their life outside of survival. That’s why the LA Zine Fest decision to not charge people for entry made it a truly accessible event, which radically gave a way for anyone to visit and enjoy the space whether or not they had disposable income. 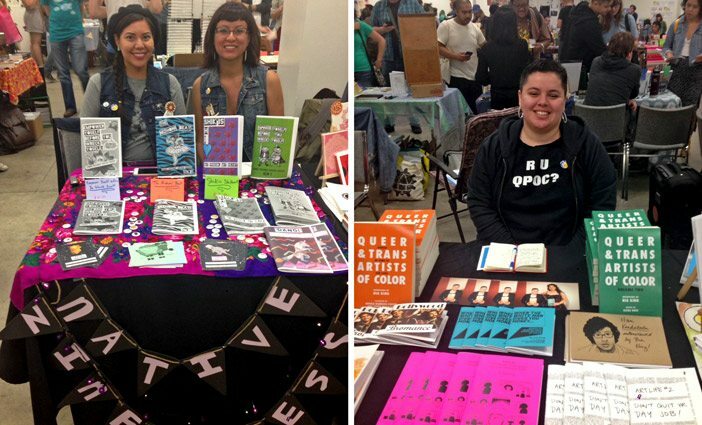 It seemed that most of the Exhibitors at The LA Zine fest were Women of Color. 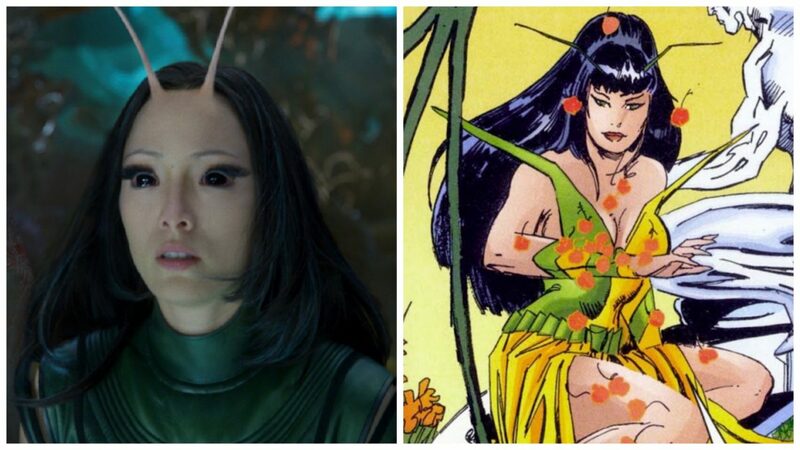 In the world of comics the creators often touted are white men. Women of Color rarely have their voices heard and are often absent from convention floors. Artist like Avi Jetter, Thick Thigh Collective, and Nia King are truly the tip of the iceberg when it comes to the diversity of the LA Zine Festival. Latinx, Trans, Gay, Black, Native, women from all over gathered in the basement of the California Arts Center and shared their art. A truly amazing and inclusive space that celebrated the many Woman of Color who are often not given a space to thrive and let their voices be heard. 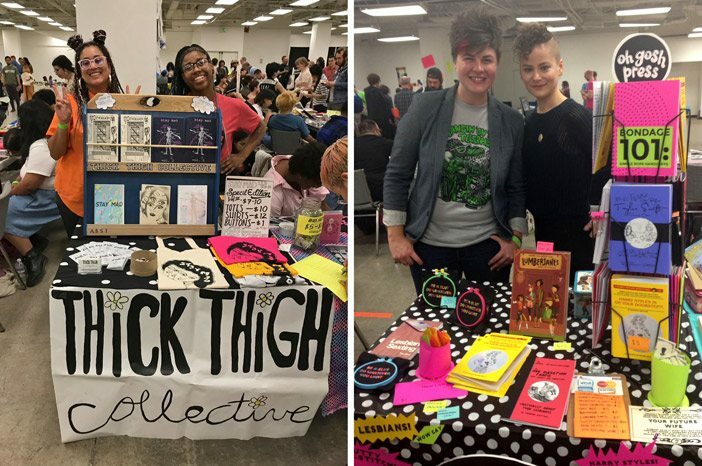 Whereas many small press and zine shows are still very much white cis able bodied spaces, LA Zine Fest had an incredible selection of creators representing every intersection. 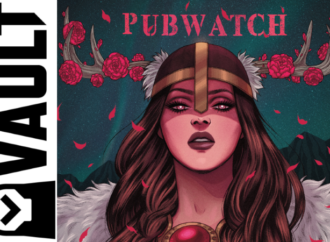 Giving platform to creators of all ages, who are usually marginalised or ignored completely. Around every corner was a new and amazing zine about Native feminism, or a press run by non binary disabled folx, radical publishers creating book series on intersectional feminism and it’s co-opting by white women and free primers on the radical history of zines. It was a festival of representation that felt so much closer to what the norm really should be. 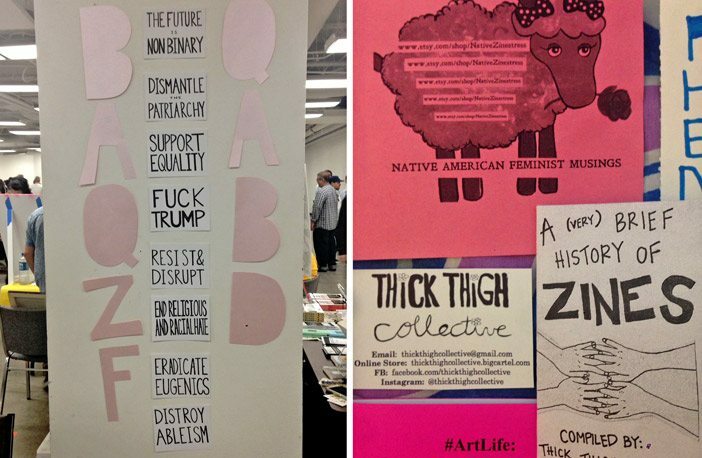 Art is inherently political and Zine Fest managed to create a space where political zines were front and centre alongside the personal and professional. Whilst also managing to be a safe space filled with incredible radical creatives whose books all held messages about resistance and radical organisation. Fighting against your oppressors whether with direct action or art is never violence, and this fair showcased that. With unbelievable DIY publications about self defence as self care in the age of of Trump, zines as a historical form of radical resistance, collective sisterhood as a form of political movement and anthologies by queer people of color filled with advice on living in a white supremacist society. 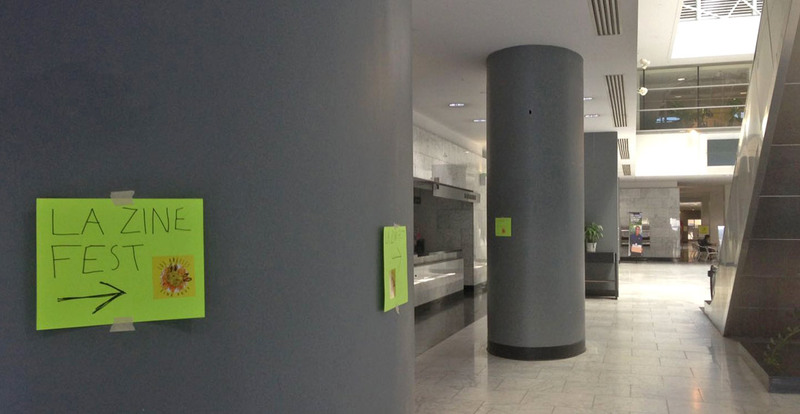 Though this should be commonplace by now, it is rare to find a convention centre or large venue which has easy to access gender neutral bathrooms. (Though California law states that all single user bathrooms must be gender neutral most large venues still have binary split bathrooms.) Once again LA Zine Fest delivered with accessible gender neutral bathrooms which were just one more part of their mission to make the show comfortable, safe and accessible for all. 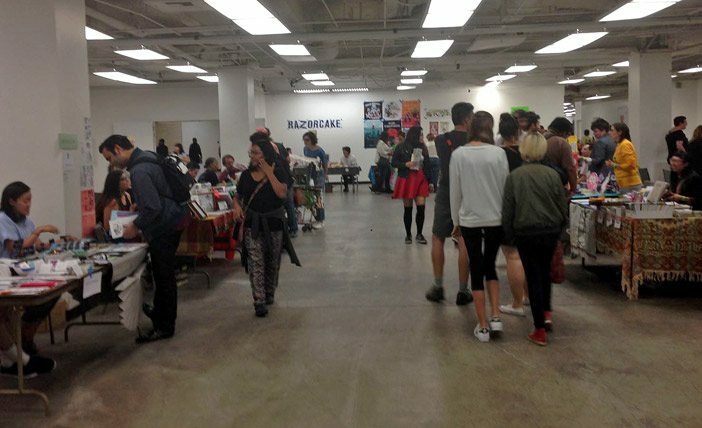 The moment we walked into The LA Zine Fest there was a general chill feeling throughout. There was no hostility, or bad vibes to be found in that basement. Every exhibitor was welcoming and sweet, the music playing gave the whole festival a kick back vibe. Never in my life have I gone to an convention and felt as relaxed as I did there. Most conventions are a hectic, loud, frenzy charged,and overall frantic. It’s a constant rush to get from one point to another, the vibe at The LA Zine Fest couldn’t be more different. With a welcoming atmosphere, a great community of exhibitors, and a total inclusive space The LA Zine Fest was more like hanging out with a bunch of friends than a convention. As far as shows go the LA Zine Fest was like walking into a dream. With it’s totally inclusive and accessible environment, and it’s amazing amount of diversity. 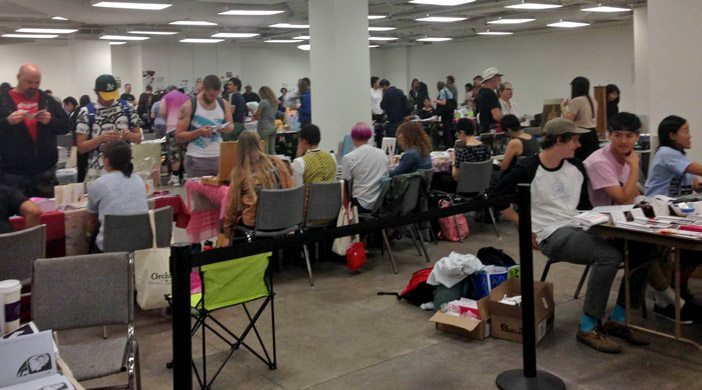 The LA Zine Fest is what all conventions should emulate when planning their own spaces.